Utopian architecture is a concept that has been been explored by many idealists throughout history. And why not? Seeking idealism in architecture would be a natural arrival after a thorough review of a dwelling, office, gathering place, etc. But how about something more abstract such as depicting the Buddhist religious utopia with architecture? That is exactly the purpose of Bulguksa, a historic Korean temple and a UNESCO world heritage site. In one beautiful October, I had a chance to visit and take in the mystically calm air of Bulguksa. Despite the large flock of visitors all around, it was enveloped in tranquility. Perhaps it was the way Bulguksa was hidden amongst the deep slopes of mount Toham. Perhaps it was the gentle curves of the roofs, or the stone fences that were quite low but still provided a sense of coziness. Built to embody the blissful land where the mortal being is set free from the suffering of life by following Buddha’s teachings, Bulguksa is comprised of three separate areas: Birojeon (the Vairocana Buddha Hall), Daeungjeon (the Hall of Great Enlightenment) and Geungnakjeon (the Hall of Supreme Bliss). Appropriately, its stone terraces, bridges and halls bear names such as “White cloud bridge” and “Hall of No Words”. 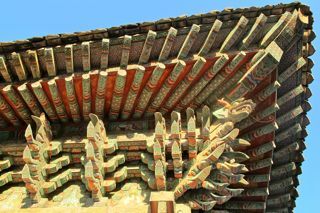 In fact, the name Bulguksa means the Temple of Buddha Land. 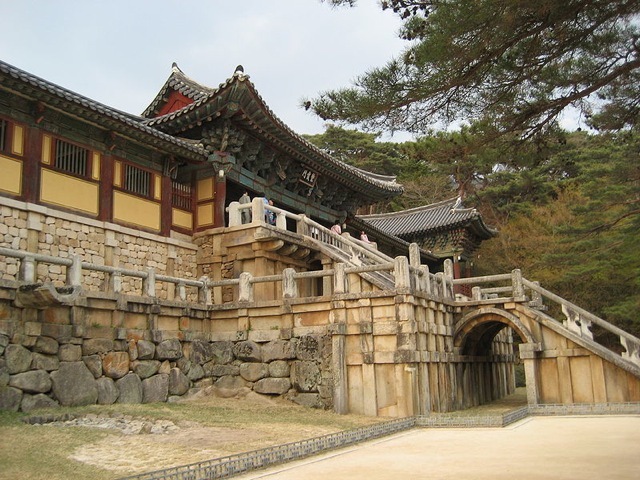 The oldest part of Bulguksa was built as early as 528 AD during the Shilla Kingdom. Incidentally, even in this remote corner of Buddhist bliss, I managed to find something that reminded me of Canada. 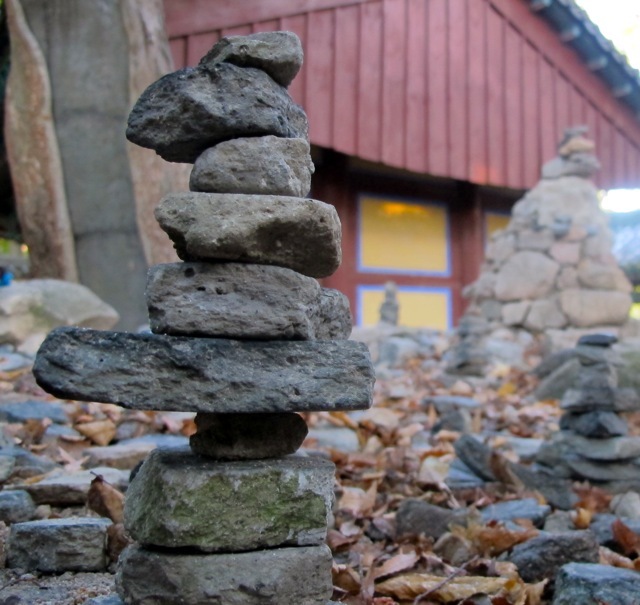 Walking along the fences, I saw an area with lots of little stone towers paying tribute to sanshin spirits. Doesn’t this look like an inuksuk?